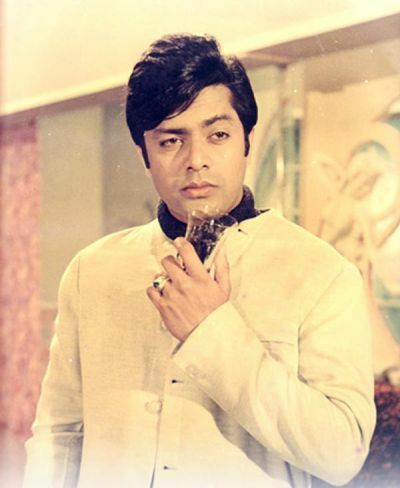 Waheed Murad was the most popular and stylish romantic film hero in Pakistani Urdu films. He was born in a wealthy family at Sialkot. His father was a film distributor in Karachi. His first two films were as producer Insaan badalta hai (1961) and Jab se dekha hai tumhein (1963). Waheed Murads first two films as actor "Aulaad" (1962) and "Daaman" (1963) were as co-actor and he introduced him selv as hero in film Heera aur Pathar in 1964. He got breakthrough from the first ever Platinum Jubilee Urdu film "Armaan" in 1966. He was also producer and writer of this film. Waheed Murad appeared as villain in film Sheeshe ka Ghar. His last film was "Hero", which was released after his death in 1985. He was well-dressed, handsome and attractive personality. He had extremely popular hair style. His nickname was "Chocolate Romantic Hero". Waheed Murad died by heart attack in Karachi on November 23, 1983.